PC David Rathband intended to take his own life and no one should blame themselves for his death, a coroner has said. PC Rathband, who was shot and blinded by gunman Raoul Moat, was found hanged at his Blyth home on the night of February 29, 2012. The inquest, held at Newcastle’s Moot Hall, heard how the 44-year-old’s wife Kath had told him their marriage was over after she discovered he had an affair with 7/7 bomb survivor Lisa French. In the days before his death he bombarded Kath with abusive phone calls in which he threatened to kill himself. However, both his wife and police did not genuinely believe he would take his life. On the night of his death Kath contacted her sister-in-law Debbie Essery after he made further suicide threats. Mrs Essery then sent a Facebook message to her brother’s former family liaison officer, Det Cons Alison Brown. The detective alerted her superior Det Chief Insp Nicola Musgrove who told Supt Jim Napier, Northumbria Police’s on duty commanding officer that night. The inquest heard it was decided there was no immediate risk to PC Rathband’s life, but that an officer he knew and trusted should be sent to his home to perform a ‘welfare check’. When police forced their way into the three-storey town house they found PC Rathband hanging on the landing. The song “When a Man Loves a Woman” was playing on his phone. 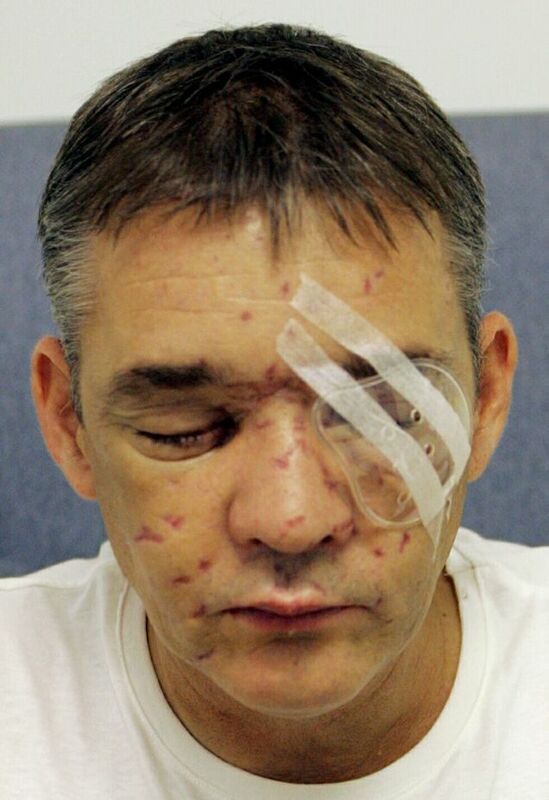 He added that being shot by Raoul Moat was the first event in a series that led to PC Rathband’s death. After the inquest Mrs Essery said she and her brother Darren would continue with legal action started by PC Rathband relating to him not being warned of Raoul Moat’s intentions to harm police officers. Northumbria Chief Constable Sue Sim said the force did everything it could for PC Rathband, going far beyond any legal duty.